During my Spring 2015 trip to Utah I completed The Mighty 5. 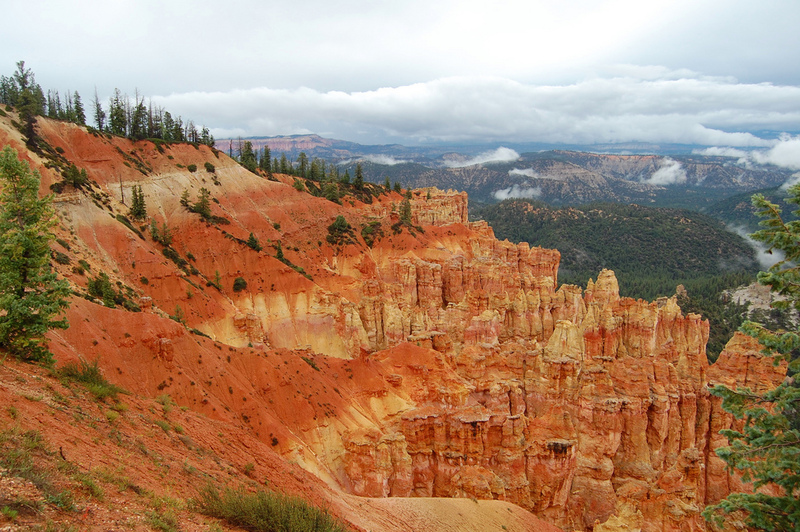 In 2013 I visited Utah, stopping at Zion and Bryce Canyon National Parks. 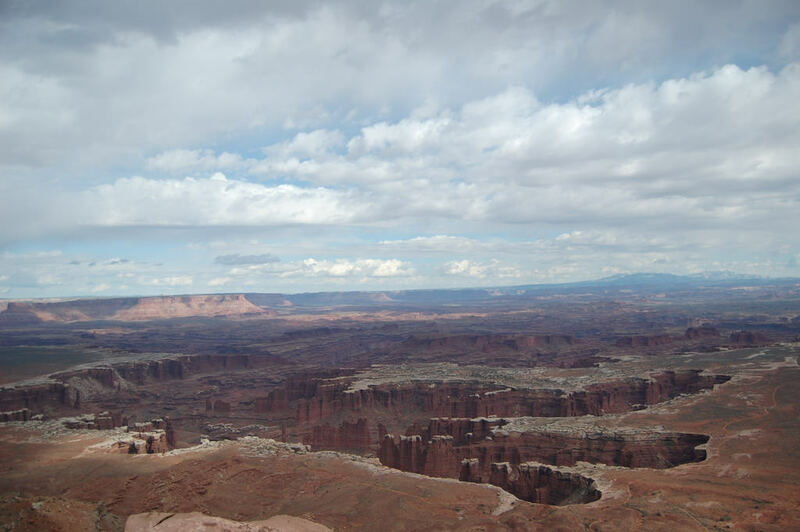 My 2015 trip to Utah had me stopping at Canyonlands, Arches, Capitol Reef and returning to Bryce Canyon. 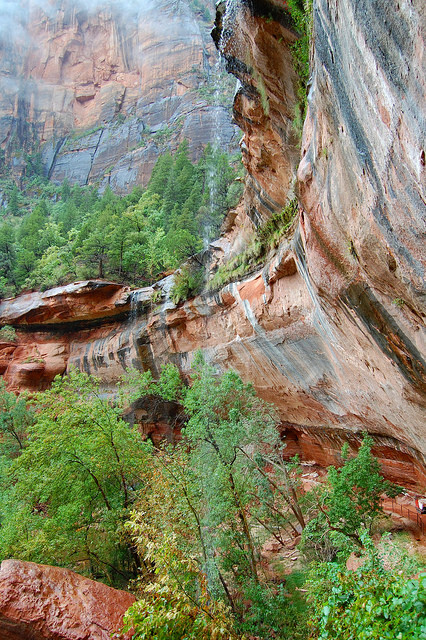 Although there is plenty more exploring to do in all of these parks I will say that my favorite park is Zion. Perhaps it is because Zion was my first introduction to The Mighty 5. I vividly remember the unbelievable deep red rocks contrasting against the lush green foliage. And as beautiful as Zion National Park is I do believe each park has it’s own stunningness. As I mentioned above, Zion National Park was my first Utah national park that I visited. 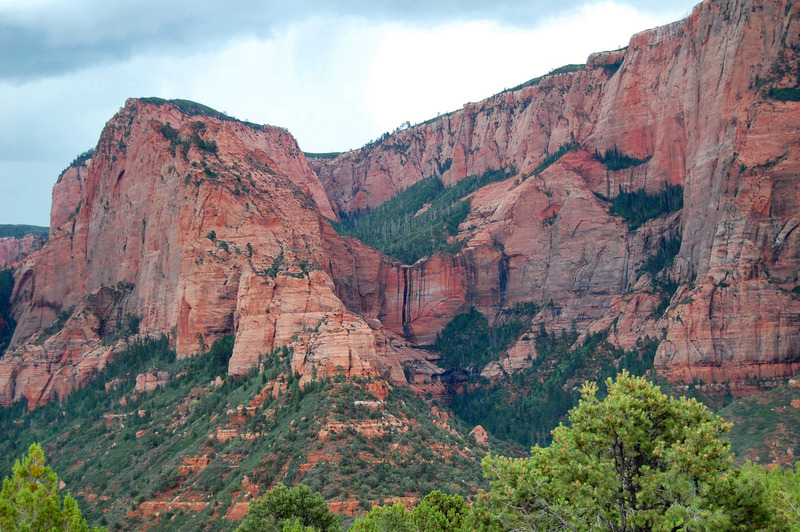 I stopped first at Kolob Canyons to the north of the main park located off of I-15. Kolob Canyons is a must do if you ask me. There are hiking trails in Kolob Canyons but they are not dog friendly. As I had Boomer with me, we did not take any of the hiking trails. Instead Boomer and I took the 5 mile (8.04 km) scenic drive along the red paved trail to the top of the mountain. Kolob is a nice substitute to Zion if you are either in a hurry or do not want to deal with heavy visitor traffic. I am not suggesting that you skip Zion however, it is worth rubbing shoulders with all the other visitors in the park. The next day I dropped Boomer off at a day boarding facility located near the entrance of Zion and explored the park by myself. I parked my truck at the visitors center and hopped on the shuttle. Luckily it was late in the season so I was able to find a parking spot at the visitor center. Apparently this is not a common occurrence during the summer months and confirmed why there were shuttle stops all along the road in Springdale leading to the entrance of Zion. As I am not a seasoned hiker I took a moderate hike to the Emerald Pools. There would be no Narrows, Subway or Angels Landing in my future. Emerald Pools was a nice hike with just the right amount of strenuousness that I could handle. After completing the Emerald Pools hike I took the shuttle to the last stop and followed the Riverside Walk out to the trailhead of the Narrows. I peeked down the canyon far enough to see some brave souls traversing through the water on their way to the 9+ mile (15 km) hike. 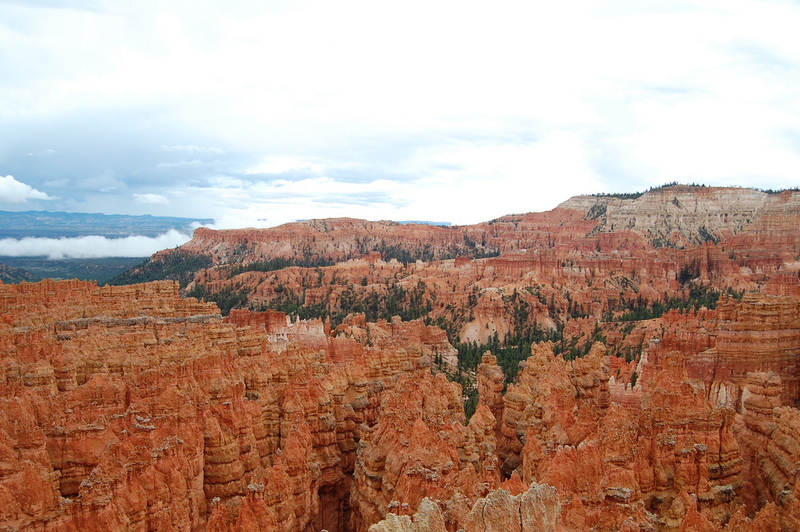 Bryce Canyon National Park is the only park that I have visited twice out of the bunch. Both times I had Boomer with me. Bryce has one dog friendly trail, the paved trail between Sunset and Sunrise Point. Note that there are signs that state dogs are not allowed at this trailhead, however ironically they are placed next to a dog waste station. Our Spring 2015 trip allowed us to see Bryce with a dusting of snow which added to the dramatic look of the hoodoos. This park is beautiful however it is my least favorite out of the 5. I am sure that I will cause some eyebrows to raise with that comment but I feel that Bryce is repetitive. It all looks the same to me where as the other park’s scenery drastically changes as you move throughout the parks. If you are traveling with a dog I highly recommend the Dixie National Forest, right next door to Bryce. They allow dogs on their trails and the scenery is similar. I know I have not given a overly glowing recommendation of Bryce but it is worth checking out. I have a friend who hiked Bryce with her husband and they both loved Bryce over Zion. Boomer and I did not spend much time in Canyonlands National Park. Mostly because it is the least dog friendly out of all the 5 parks. We took the Island In The Sky scenic drive. I recommend this if you are traveling with a dog or you are short on time. This drive gives you a general overview of the park as well as serves up some pretty amazing scenery. If you are traveling with a dog Dead Horse Point State Park is a few miles down the road is dog friendly. I do not like to play favorites because someone always feels bad that they are not the favorite. You know who I am talking about middle child. Although I would never refer to Arches National Park as the middle child it is certainly my 2nd favorite park out of the Mighty 5. The arches are impressive and invoke a bit of fascination as the sandstone defies gravity arching over wide spans. Of course Delicate Arch is a must do and well worth the strenuous hike up the sliprock. I was excited about Capitol Reef National Park as from what I read it was regarded as the most beautiful out of all of The Mighty 5. I am most fond of Zion but Capitol Reef is mouth gaping open beautiful. I did find it slightly odd however as the most famous photos of Capitol Reef are actually located outside of the park. In my true classic form I did not snap a photo of these spots as I thought I would have an opportunity later as I left the park. Just like my GPS Samantha is normally, I was wrong and ended up leaving the park through a different entrance. 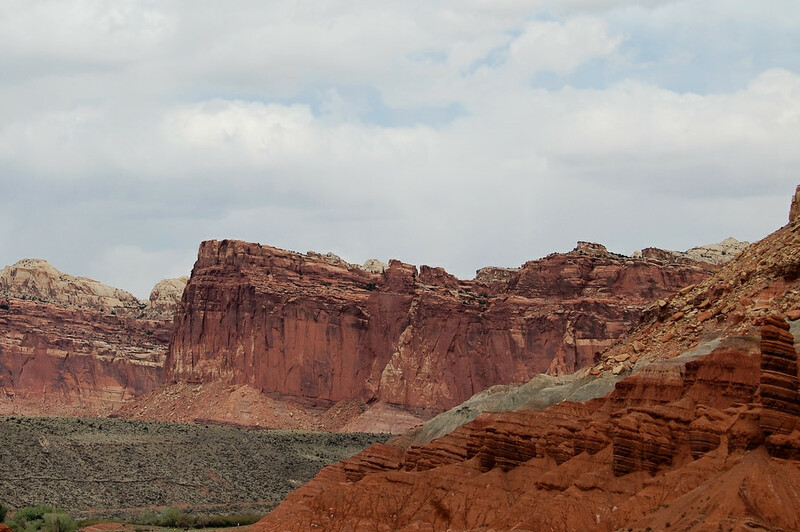 The driving tour through Capitol Reef is like driving through a huge slot canyon along with some historic buildings that flank the roads. 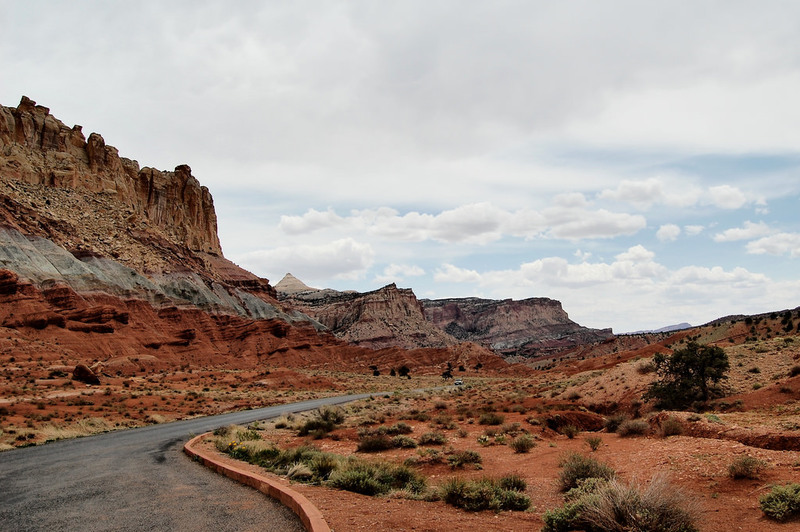 The only downfall to Capitol Reef is that if you are arriving from the west you will most likely find yourself on Highway 12. Highway 12 is a road that I describe as scarier than necessary with 14% grades and no guardrails, but if you are up for the driving challenge the views are breathtaking. 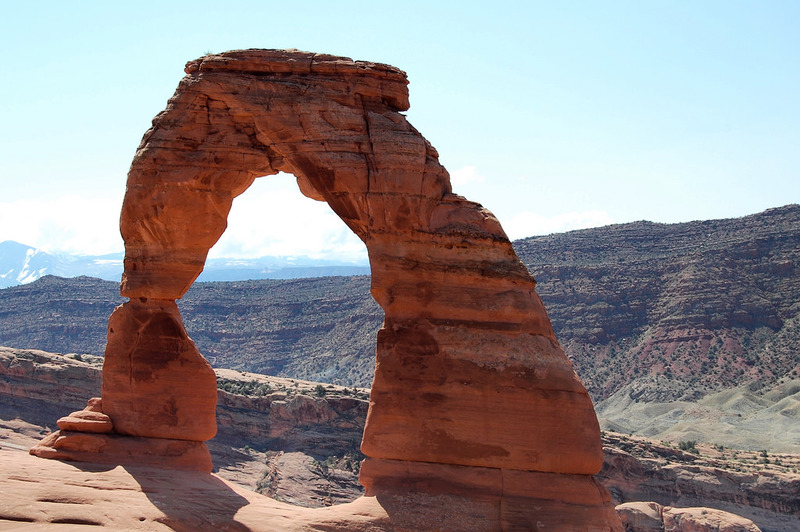 Have you been to any of the Mighty 5 National Parks in Utah? Post in the comments which park is your favorite!